Interested in immersing yourself in the tiny house community? Trying to find out if tiny house living is for you? Or just love house hunting or renovation shows? Here are some of my favorite tiny house shows that follow real life individuals buying or building their own tiny houses. 1. 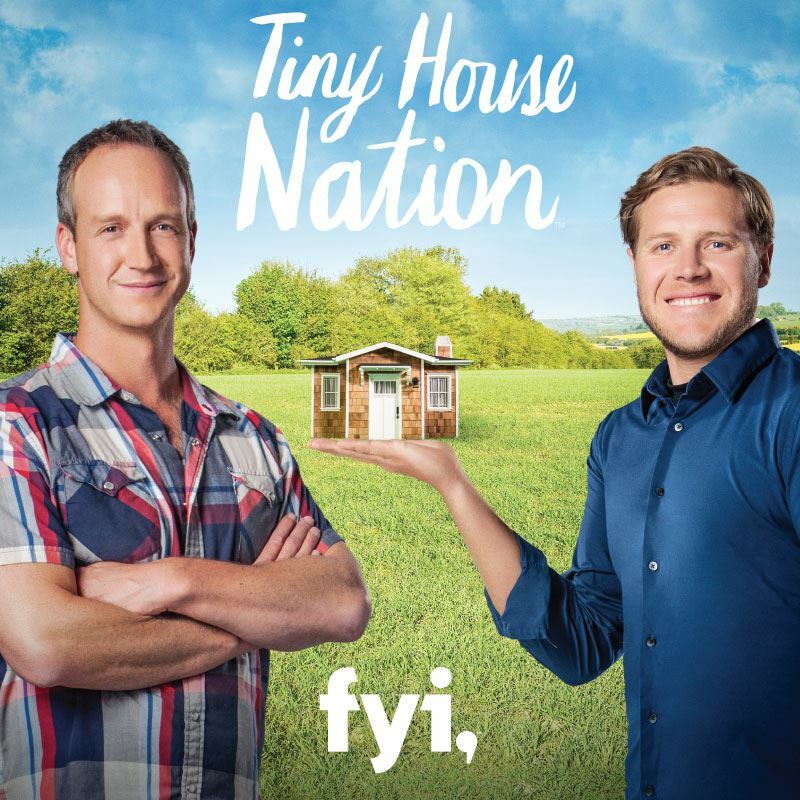 Tiny House Nation (FYI) : This hit TV show began in 2014 and is currently on their fourth season. Follow host John Weisbarth and tiny house builder Zach Giffin travel across America looking assisting people looking to go tiny. The show shows the practical part of tiny living both mentally and physically. Reminding them of their own well-being and their drastic space reduction. The host always asks them why they are going tiny and to keept that in mind as they pair down their possessions. They also touch on the technical side, when discussing the size, mobility, and material used to build the tiny house. 2. Tiny House Hunters (HGTV) : Aired on Home and Garden, this show is a spin-off of the beloved original show House Hunters, in which an individual is has a list of requirements for their future house and their real estate agent takes them to look at three different houses. In the end, the individual selects one of these three houses in they feel would be the best fit for them. This show is similar in regards to the house hunt, except that the individuals are looking at tiny houses- rather than traditional homes. 3. Tiny House, Big Living (DIY) : On the DIY channel, this successful show is currently on their fifth season. This show embraces the tiny house community, showcasing individuals, couples and families building their own tiny houses. The show delves into the construction side of tiny building, focusing on layout, material, and furniture. Creativity, innovation, and hard work are encouraged and showcased throughout the episode.